India's oil imports from Africa in October rose to their highest level since August 2015, after a fall in Brent's premium to Dubai swaps made African crude more attractive, tanker arrival data from industry sources showed. India's overall imports in October rose 14.1 percent from a year earlier to 4.7 million barrels per day (bpd) with shipments from Africa more than doubling to 874,000 bpd, according to the data. Indian oil imports typically rise from October due to higher fuel demand in the festival season and as industrial activity picks up after four months of monsoon rains. Government data released on Tuesday showed that India's fuel demand rose 4 percent in October from a year earlier to five-month high of about 18 million tonnes. Resumption of operations at some refinery units after maintenance turnaround also pushed up India's oil imports in October. Analyst said a narrowing price differential between Brent and Dubai linked grades and uncertainties over Iranian supplies was another reason that spurred the purchase of African grades. "October arrival means orders must be placed in July-August when average premium for Brent-linked lighter grades eased against Dubai crude to turn African grades profitable," Sri Paravaikkarasu, head of East of Suez Oil for consultants FGE in Singapore, said. Brent-Dubai Exchange of Futures for Swaps (EFS) <DUB-EFS-1M>, an approximation of the premium at which Atlantic basin light-sweet crude trade to Gulf heavy-sour grades, narrowed to about $2.5/ barrel in July and $1.8 in August. The narrowing of the price spread between the two benchmarks opens the arbitrage for Atlantic Basin crude grades to Asia, while making Dubai-linked grades more expensive for Asian buyers. Paravaikkarasu said uncertainties over the grant of waiver from the U.S. sanctions against Tehran also pushed refiners to tap spot markets for African grades. Washington earlier this month granted waiver to India from sanctions against Iran after New Delhi agreed to cut imports from Tehran. 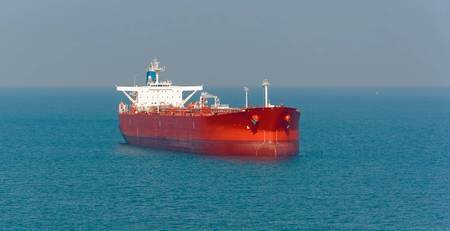 India's oil imports from Iran in October fell by about 12 percent to about 466,000 bpd. The country's overall purchases from Iran in April-October, the first seven months of the current fiscal year, rose 34 percent. A trade source who handles African oil said Reliance Industries Ltd, operator of the world's biggest refining complex, also increased crude imports from West Africa after restarting its fluid catalytic cracker. Paravaikkarasu said robust gasoil cracks also helped to drive higher purchase of middle distillate rich African grades. The share of African oil in India's overall imports almost doubled in October from a tenth in the same month a year earlier while purchases from the Middle East accounted for about 57 percent compared to 69 percent, the data from industry sources showed. The sources declined to be identified as they are not authorised to speak to the media.